Ashleigh has worked in the financial planning industry alongside our senior planner and partner Derek Fitzgerald, since 2006. Ashleigh holds a Certificate 4 in Business Administration and a Diploma in Financial Planning and is well versed in the administrative complexities of the Financial Advisory world. Ashleigh’s role as Paraplanner is to document advice in simple, compliant and understandable terms for our advisers and their clients. She also implements the advice and assisting clients in their day to day interactions with the business. Ashleigh lives in Mackay with her husband Todd and two children. 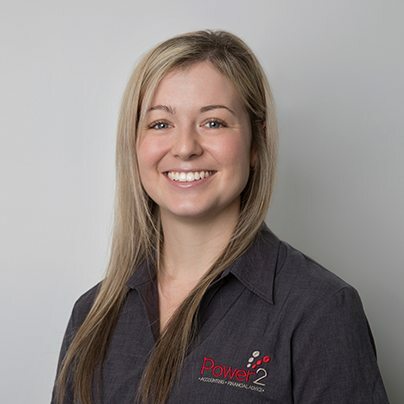 Ashleigh enjoys the challenging fast paced environment of Power2 and when you visit our office, either as a new or existing client Ashleigh will be one of the first people you meet. “Good Financial Decisions, everyday”, is the secret to helping our clients achieve their longer term financial goals.